Hannah Hippensteel is a features writer for the Winonan. 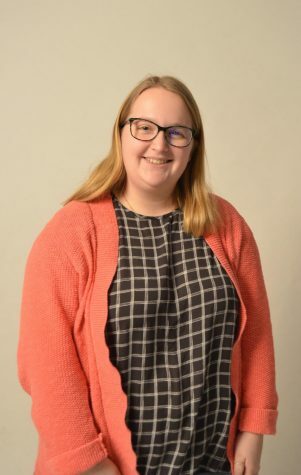 She is a first-year writer for the Winonan, and she joined as a way to strengthen and diversify both the subjects she writes about and the style in which she writes. Hippensteel is a sophomore at Winona State and is a Mass Communication-Journalism major with a minor in Sociology. In life, she hopes to work as a columnist at one of her favorite magazines: Glamour, Seventeen, or Teen Vogue. Hippensteel also serves as the Vice President for the Winona State chapter of Her Campus, an online college blog written primarily by and for women. She was previously the editor-in-chief of Her Campus and has been a staff writer for two years with over 60 pieces in her portfolio. She loves to write about personal anecdotes, her latest movie and music tastes, and pieces dedicated to her friends and family who inspire her constantly to share her voice and passion for writing.